Despite the many crucial political topics floating around today, for some time, one of America’s favorite policies to discuss is that of legal cannabis. Currently a Schedule I drug along with heroin, cannabis is steadily being legalized state by state. In 2012, Colorado, Washington and Alaska legalized the plant for recreational purposes. Since then, several other states have followed suit, with over half legalizing cannabis for medical purposes and nearly one-fourth of them opening doors for recreational use. Federal law has stood by its scheduling of the plant, however, its schedule severely limits its availability for research, putting the entire industry into a precarious situation. Federal officials have largely held onto antiquated views regarding the subject, despite polls showing that over 60 percent of Americans support full legalization. Several arguments are intertwined with the discourse surrounding cannabis. Naturally, citizens must consider to what extent the government may dictate what can and cannot be consumed by citizens. Similarly, they must also determine how comfortable they are with the government’s limiting of psychoactive substances. Finally, regardless of safety, it must be noted that there is an argument pertaining to a person’s choice to engage in risky or dangerous behavior. The Centers for Disease Control and Prevention determined that alcohol leads to about 88,000 deaths each year and nearly 0.5 million deaths from tobacco annually. Federal agencies do not reschedule marijuana due to limited research and simultaneously limit research by not rescheduling it. And Schedule I drugs have been determined to have a high potential for abuse and no accepted medical uses. But the most troubling aspect of cannabis is certainly the massive number of incarcerated individuals for nonviolent drug offences. Approximately 600,000 Americans were incarcerated for possessing some of the plant in 2017, not including those with more severe charges such as distribution, according to the Drug Policy Alliance. 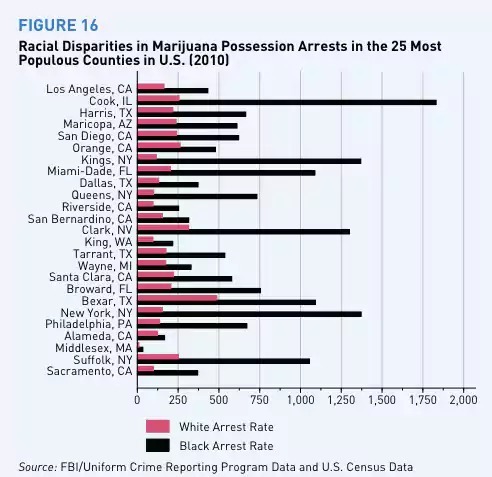 The Washington Post reports that all states arrest black and latino offenders at much higher rates — up to over eight times as often — than white offenders, depending on the state. Because cannabis is so common, police have lots of leeway in proceeding to charge or not charge an offender. Courts similarly have much power in determining the extent to which the offender is punished, ranging anywhere from a warning to life in prison with no possibility of parole. Many of these individuals were given life sentences for possession and are still sitting in prisons across the country, even in states where the plant has been legalized. Putting aside the fact that it costs taxpayers between $30,000 and $60,000 a year to keep a single inmate in minimum-security prisons, totalling to $63.4 billion on all cannabis offenders annually, we have a monumental moral dilemma on our hands. Canada recently legalized cannabis for recreational use on a national level and is already working to release prisoners held on nonviolent offenses. In America, 208,000 are incarcerated in federal prisons and nearly half are for nonviolent drug offenses. In 2015, nearly 6,000 prisoners were released to begin to reform incarceration policies, shortening their sentences by an average of two years. There has been little attention or action since then. To me, it seems like at this point in time, legalizing cannabis is a no-brainer. But with that being said, it should not even be considered until every nonviolent possession offender is released. 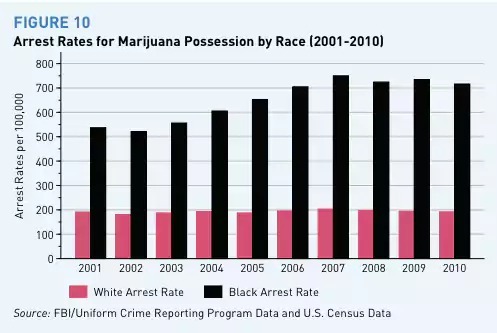 It is unfortunate how willing progressive efforts are to push for legalization while allowing so many to continue to sit in prison for something that is hardly criminal.